Hello Students, It’s easy to convert your dream into reality to become a MBBS doctor. There is one good news related to NEET Exam because this exam is conducted twice in the year in February & May month. So there is no need to wait for 1 year. Now it's easy to crack the NEET Entrance Exam. In 1 year you can appear for 2 times. 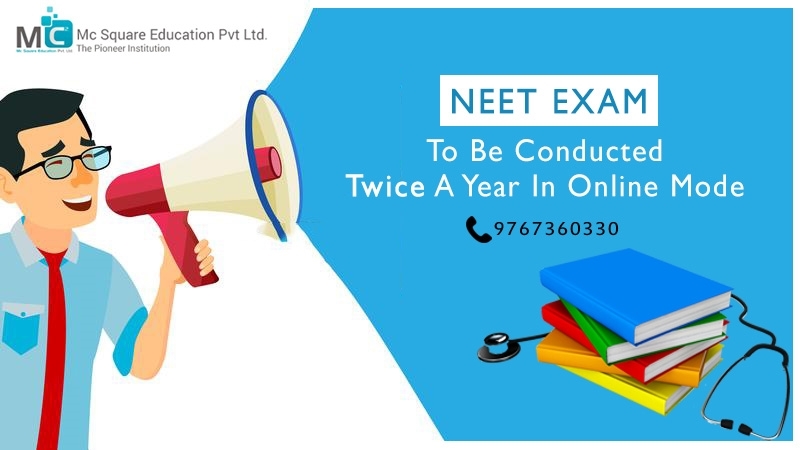 From 2019 Neet exam is conducting by National Testing Agency (NTA), instead of CBSE. In first attempt you get the idea about exam & Exam Pattern. If in case you couldn’t crack the entrance exam then you work on weak points and make it strong & attempt the entrance exam in same year for second time with full confidence. There is no any compulsion to attend both exams it depends upon you. For proper guidance you can also join Crash Course in between gap of these two exams. Mc2 Academy is well known coaching institute in pune for NEET entrance exam and also provide best NEET Crash courses in Pune. This Crash Course program will put more focus on problem-solving & concept revision skills. We are starting new batch for NEET coaching institutes in Pune. So you can join our Pimpri or Shivaji Nagar branch.